Οι νέες τεχνολογίες θα αλλάξουν δραματικά τον τρόπο που θα κατασκευάζονται τα αυτοκίνητα στο μέλλον. Αυτό το κατάλαβε νωρίς η EDAC, μία ανεξάρτητη ομάδα σχεδίασης, και έτσι σκοπεύει να παρουσιάσει στην έκθεση της Γενεύης τον Μάρτιο ένα concept car με όνομα “Light Car – Open Source”. H EDAC θέλει το πρωτότυπο της να είναι το πρώτο αυτοκίνητο που θα κατασκευαστεί από ίνες βασάλτη που έχει περίπου τις ιδιότητες του carbon, μόνο που αυτό είναι αρκετά φθηνότερο και πλήρως ανακυκλώσιμο. Το αυτοκίνητο κινείται από ένα ηλεκτροκινητήρα που τροφοδοτείτε από μπαταρίες λιθίου που είναι ικανές να κινούν το Light Car για 150 χλμ. Βέβαια το ποιο ενδιαφέρον μέρος του αυτοκινήτου είναι ότι κάτω από την επιφάνεια του concept βρίσκονται τοποθετημένοι βιολογική δίοδοι εκπομπής φωτός που μπορούν να τροποποιηθούν από τον οδηγό του αυτοκινήτου και έτσι να αλλάζει η εμφάνιση του αυτοκινήτου. Οι αλλαγές αυτές είναι δυνατές στα μπροστά φώτα, στο εσωτερικό του αυτοκινήτου καθώς και στο πίσω μέρος που μετατρέπεται σε μία “οθόνης προβολής”, “επικοινωνώντας” έτσι με τα υπόλοιπα αυτοκίνητα. EDAG, worldwide provider of engineering services, will be presenting the world premiere of its vision of an environment-friendly, future-orientated vehicle for everyday and leisure use at this year’s International Motor Show in Geneva. For the body concept of the “Light Car – Open Source”, EDAG has broken new ground, and for the first time ever in automotive engineering, used ASA.TEC’s innovative basalt fibre, a lightweight, stable and – above all – 100% recyclable material. Propulsion is taken care of by intelligent, electric drive systems in the wheels, which not only feature a high degree of efficiency to get the power of the lithium-ion batteries onto the road, but will also provide considerably greater creative scope for the vehicle package. 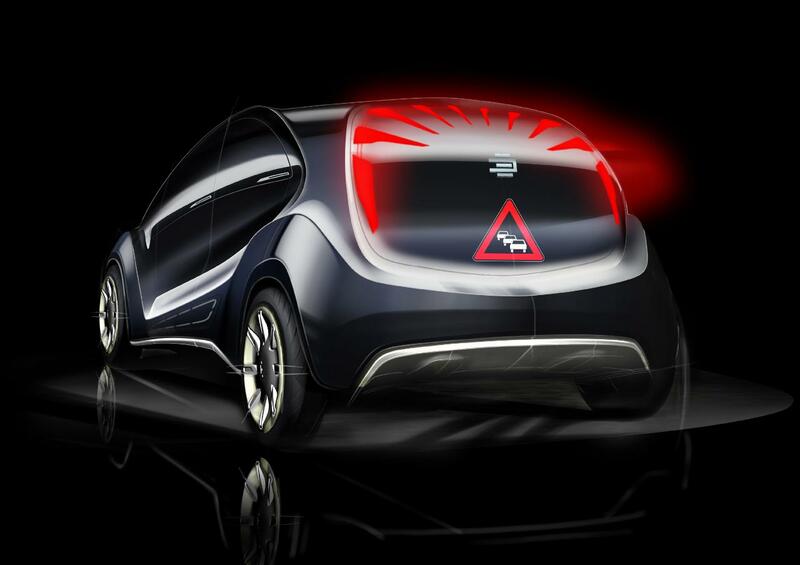 In addition, with its innovative light concept, the “Light Car – Open Source” will be one of the first vehicles to utilise (O)LED technology as an individually adaptable design and communication element. As a design engineering company, the EDAG Group would like to apply its experience to contributing to the development of new vehicle concepts and processes. Rising energy prices, the CO2 discussion and the increase in demands for reasonably priced cars are all pressing questions which now, more than ever, call for innovative concepts. Since 1999, EDAG has, with its concept cars, been producing pragmatic ideas for the evolution of the automobile. Motivated by the current discussions about the cars of tomorrow and future direction of the automotive industry, EDAG has risked taking a visionary and courageous look towards the future. With the “Light Car – Open Source”, EDAG gives possible answers to the question of how new materials, new body concepts and alternative drive systems can be implemented in the future, while conserving resources and keeping costs down for the manufacturer and customer alike. 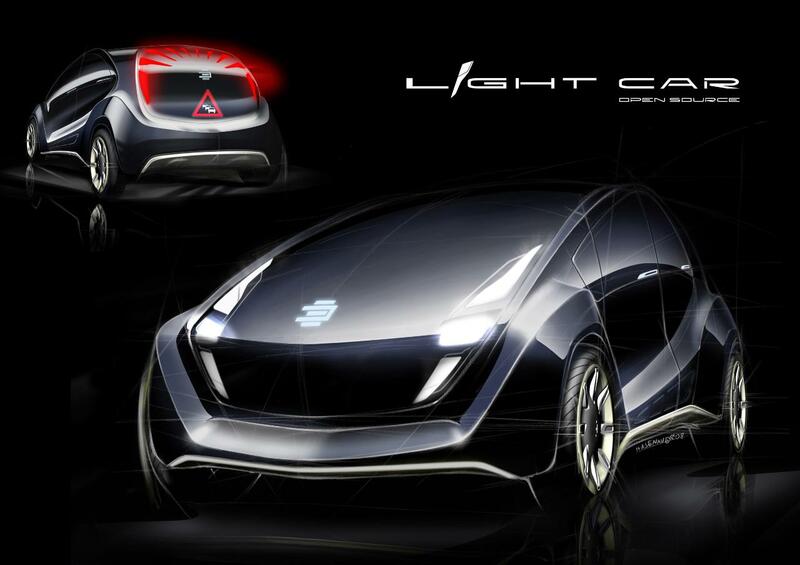 With its innovative light concept and minimalised lighting technology, the “Light Car – Open Source” is one of the first vehicles to use (O)LED technology as a variable design and communication element. Not until it is started up does the “Light Car – Open Source”, with a body that looks as though it is made of glass, come to life and reveal its true looks. In the glass panes, (O)LED lamps mark out the outlines of the headlights and rear lights on the “Light Car – Open Source”. The driver can design the outlines of the lights to his individual taste to give the car a unique appearance, something he is already used to doing, from setting up his PC desktop. The driver also has a free hand when it comes to arranging his “workplace” in the cockpit. Whether he wants the tachometer in the middle or the climate control gauge on the right-hand side, the driver can individually configure his cockpit as far as size, position and style of the instruments is concerned. “We have transferred today’s multimedia and lighting technology standards to the car, and in future want to offer the customer scope for free configuration, as the entire surface of the vehicle functions like the monitor of a multimedia installation, and can be used intelligently and individually,” explains Johannes Barckmann, Head of the EDAG Design Studio. With the aid of state-of-the-art (O)LED technology, EDAG uses the transparent tailgate as a projection screen, making car-to-car communication visible and usable to all motorists. For instance, the braking force can be communicated to the next vehicle by means of an illuminated scale on the back of the car. Other information, such as a distance reading or if there is the tail end of a traffic jam ahead, can be clearly displayed on the back of the car, even if the vehicle behind does not have a car-to-car communication system of its own. Further, the driver of the car behind can see the information straight away, without needing to take his eyes off the road! With the choice of materials for EDAG’s “Light Car – Open Source”, the emphasis is also on innovative solutions. Apart from the glass surfaces or alternatively Makrolon, the material of the future, the structure of the vehicle is predominantly of an innovative, industrially standardised basalt fibre (ASA.TEC fibre). This 100% recyclable and almost infinitely available raw material is not just lighter and less costly than aluminium or carbon, but also has practically the same strength properties as conventional materials. This new quality of basalt fibre, which is to be utilised in the construction of rotors for large-scale wind power plants in the future, can now be put to systematic use in the automotive industry. This type of basalt fibre therefore has the potential for becoming a main structural element and thus being used as a future lightweight material in cars for the high volume market. 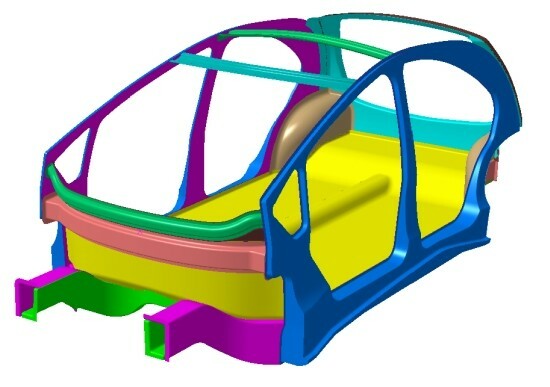 The body concept of the “Light Car – Open Source” is based on a rolling chassis – a genuine, universal platform to which the modules for various bodies can be added. This enables vehicle derivatives to be developed more quickly and at lower cost. The drive concept of the light car is based on an all-electric, monovalent drive system with a range of up to 150 kilometres, making it eminently suitable for everyday use. The matter of propulsion is taken care of by intelligent, electric drive systems in the wheels, which not only feature a high degree of efficiency to get the power of the lithium-ion batteries in the rolling chassis onto the road, but will also provide considerably greater creative scope for the vehicle package. This is made possible by a system integrated in the wheels, which consolidates a number of functions: steering, brakes, drive and suspension. The light car’s exterior dimensions – 4 metres long and 1.70 metres wide – put it in the compact car size range, and as both engine and gearbox have been eliminated, the wheelbase – 2.90 metres – has been brought up to luxury class level, with enough space to seat five passengers in comfort. The new lightweight material, standardised basalt fibre, an electric drive system, rolling chassis and – last but not least – the innovative lighting concept offer great potential for a new vehicle concept. Many of the technologies shown today are still in the early stages of their development. 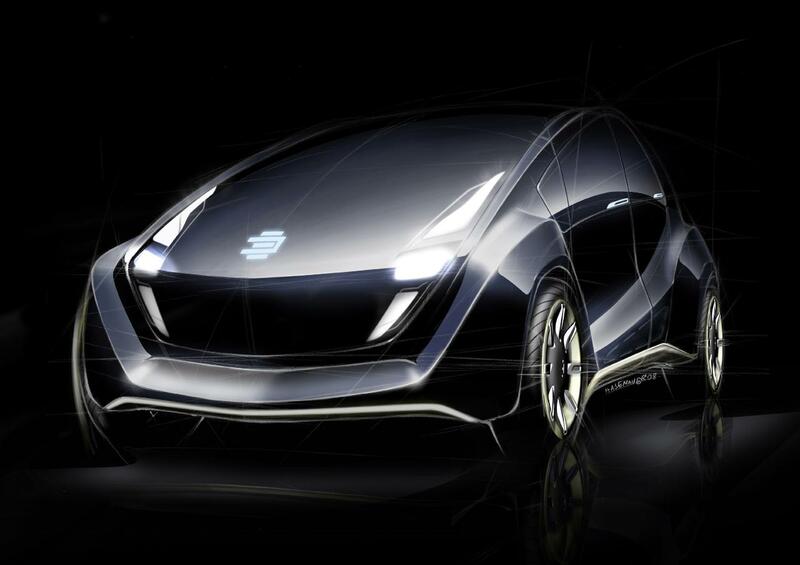 For this reason, EDAG regards this as an open source project, and approaches other companies with which it can then work on the development of the EDAG Light Car. The company has made a deliberate decision to address itself to a wide circle, thus enabling new notions to be absorbed in the car of the future. Computer and software developers are to apply their new technologies in exactly the same way as ASA.TEC basalt fibre, (O)LED technology or electric drive specialists do. With EDAG’s expertise in vehicle and production plant development, and the integration of system suppliers in complex complete development projects, the Fulda company will be playing the leading role in the development of the open source project. The company’s all-round understanding of product and production will help EDAG to develop pragmatic solutions, particularly regarding savings potential when it comes to product costs. With “Light Car – Open Source”, the EDAG Group intends not only to substantiate its claims to being an innovative engineering partner to the automotive industry, but also to stimulate the discussion of ways and means of satisfying future consumer demands – ecological and economical – on the next generation of cars. The world’s largest independent development partner, EDAG develops tailor-made concepts and solutions to meet the mobility requirements of the future. The development of complete modules, vehicles, derivatives, and production plants is just as much a part of the service portfolio as the construction of models, prototypes, special vehicles, and small-series production. Besides development performance, EDAG offers to implement complete production systems for body in white construction and vehicle assembly, through to the low volume production of modules and special vehicle series, from a single source. EDAG is represented at over 35 locations in 17 countries and on 5 continents worldwide. The company, founded in 1969, offers mature solutions optimized for production from its intermeshed business divisions Product Development, Production, Manufacturing Equipment, and Aerospace. EDAG focuses on the automotive and aviation industries as well as on other partners from the international mobility industry. In 2007, the Group had turnover of more than 690 million euros, and employed a worldwide workforce of over 5,900.